This week, Jayden is heading back to Shanghai. After the train ride and maybe a trip down the street for some treats, he’ll be spending his time in the cardiac unit. The super-smart people on the paediatric cardiac team will be reviewing his case, checking and rechecking to figure out what’s happening with that special heart of his. The cardiac unit doesn’t sound like a dream holiday destination … but the trip is pretty critical to the dreams we have for Jayden. This kid is amazing us everyday. He is growing and learning more quickly than we ever expected. He now weighs over ten kilograms, is almost walking independently and has developed a wild love for music. He also really loves the water. Beautiful Joy, our play ayi, has purchased the children a blow-up pool to help combat the sticky summer heat. To our delight, Jayden loved it right away. He laughs and splashes with his big bro John, and only gets upset when its time to hop out. 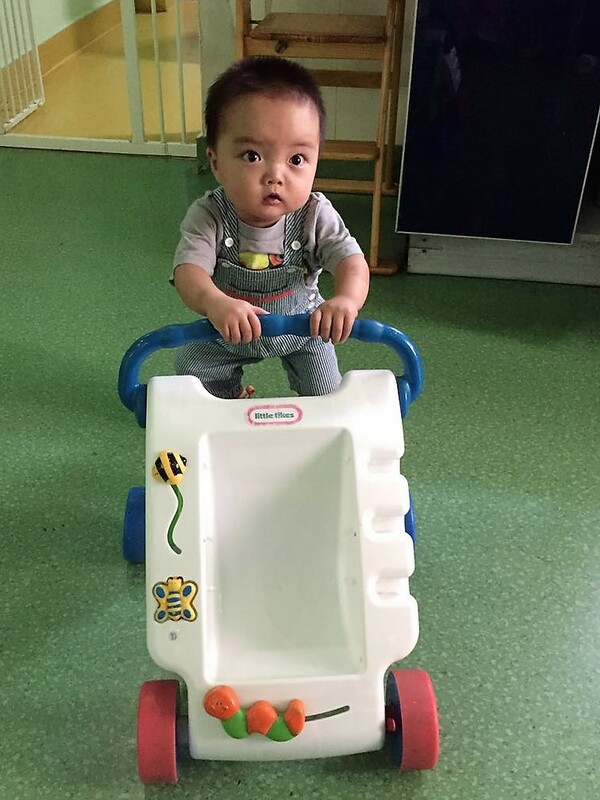 It makes our hearts sing to see Jayden enjoying himself and doing well clinically. But there’s a massive missing piece in Jayden’s life – family. 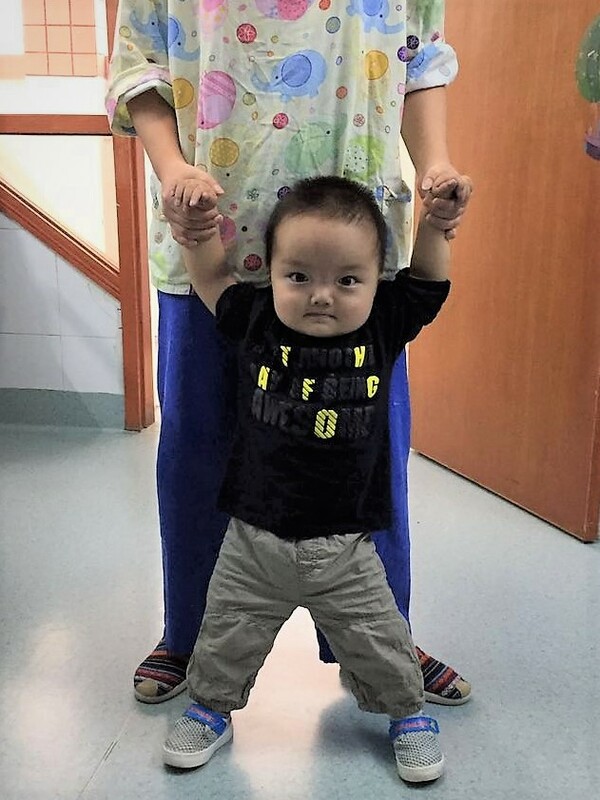 His first family couldn’t care for him because of the severity of his heart defect. We believe they didn’t choose abandonment to let their boy die, but because they desperately wanted a miracle to preserve his life. Now we’re standing in their place, and hoping for the same thing. 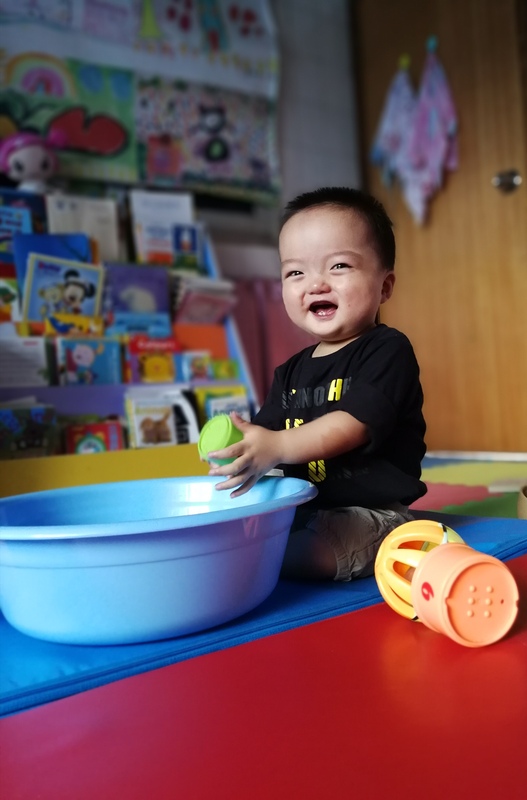 Jayden’s best option for a miracle is international adoption and surgery with his family … and that’s where the trip comes in. A positive report from the cardiologists would be super-encouraging for a potential adoptive family. It’s a huge risk to embrace a child with an uncertain future. It defies logic. In fact, it takes a heady mix of courage, faith and love to defy logic so thoroughly. Yet we’ve seen the miracle of family for many children now – sometimes we hesitated to hope, but still families came. They raised funds, packed bags, hopped onto planes and trains and buses and claimed their children. They opened up their arms to amazing little people with big personalities, ringing laughs, complex diagnoses and medical unknowns, claiming it all with fierce determined love. We’re grateful for these families … and now we’re dreaming for Jayden too. Hopefully this week will bring news to make that step a little easier for the right family. We feel pretty sure they are out there somewhere … the family who will look into our little guy’s determined, sparkling eyes and know he is one of them. We know they will be risking much. Walking through this type of surgery with a child is tough, no matter what the outcome. And when there are no guarantees – that’s another level of tough. But Jayden is ready for the challenge, and proves that every day. This is a child living with joy, curiosity and commitment, not a child living with disease. Please keep Jayden in your thoughts, and hope with us that his heart is doing better than expected and he gets a great report. And share his picture and his story … we need to find that special family who will dare to dream with us.